Just added: Doctor Detroit director Michael Pressman will join us IN PERSON, schedule permitting, to discuss the film! In the grand tradition of screen classics such as Dr. No and Doctor Zhivago, comes the hilariously madcap Doctor Detroit! 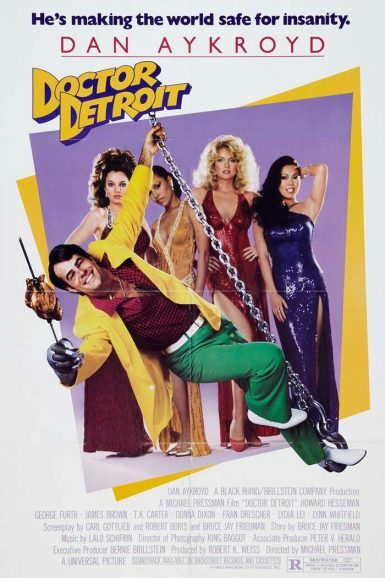 When a fast-talking pimp makes him his patsy in a tough turf war, a mild-mannered college professor (Dan Aykroyd) will have to learn to balance class work with late nights while becoming the fancy-dressing, flashy-dancing, death-defying, jacuzzi-dipping, dynamic defender of decency for four working girls.